Dr. Mansour joined KHCC in 1998 as the Chairman of the Department of Diagnostic Radiology. Under his leadership the Department of Radiology grew in qualified staff and state of the art diagnostic equipment that currently makes it one the best cancer diagnostic radiology units in the region. In 2006 and in addition to his role as the Chairman of Department of Diagnostic Radiology; Dr. Mansour was also appointed as the Deputy Director General at King Hussein Cancer Center, followed by his appointment as a CEO/ Director General in April, 2012. Dr. Mansour has been assigned by the Minister of Health as the Chairman of Jordan Breast Cancer Program; he was a lecturer and faculty member of the Allied Medical Sciences, Hashemite University in 2002-2004. Dr. Mansour is a member at the American College of Physician Executives (ACPE). Dr. Mansour earned his M.D. from Vitebsk Medical Institute in 1991. He carries the Jordanian Board in Radiology, the fellowship of the Royal College of Radiologist (FRCR-London) and the European fellowship in Neuroradiology (ECNR), He has published many articles in international journal and he is renowned expert in oncologic and neuroimaging. 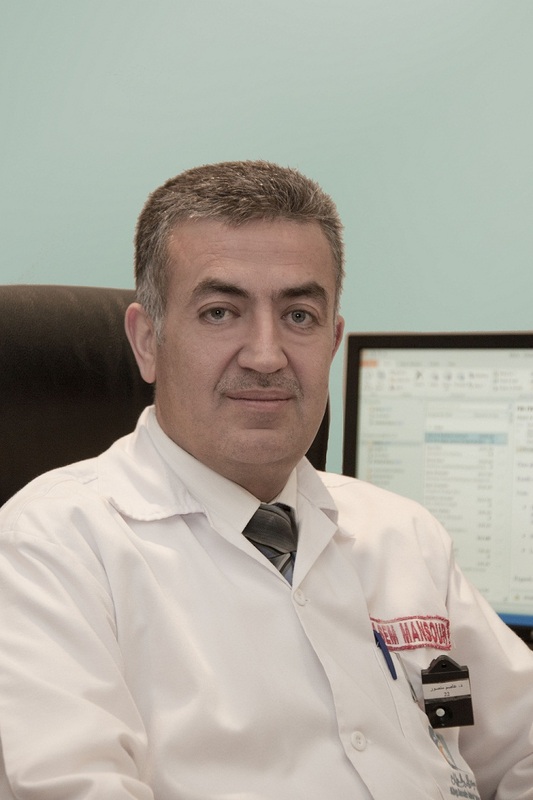 Dr. Mansour is an active reviewer in diagnostic radiology Journals and a life member and expert reviewer for the International Union against Cancer.